With aggressors like pollution, harsh climates and dermo-procedures, it’s no wonder that when polled, more than 50 percent of Asian women raised their hands to having sensitised skin. 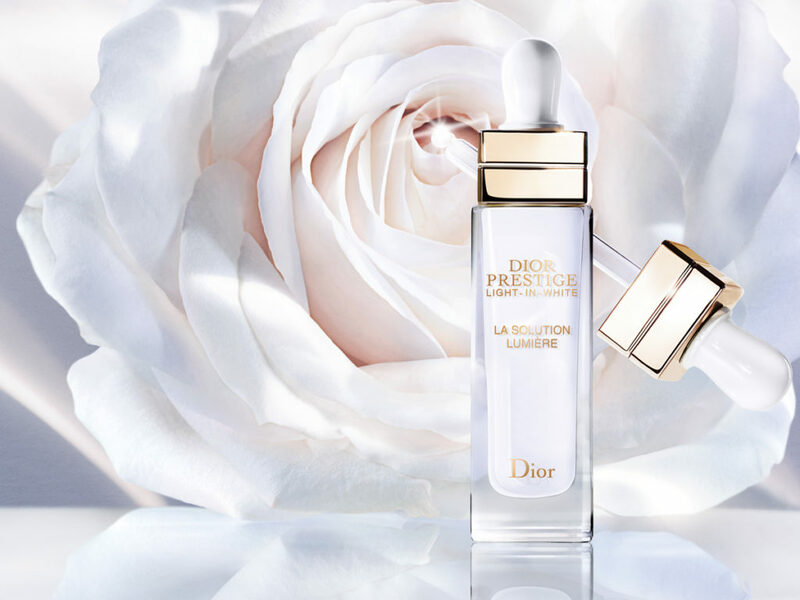 And with Dior’s findings showing that the more sensitised skin becomes, the more prone it is to dark spots and pigmentation, the brand launched the Prestige Light-in-White La Solution Lumière to repair and brighten skin at the same time. In fact, the brightening serum was concocted specially in respect for Asian skin. Harnessing the regenerative powers of the Prestige Rose de Granville and whitening benefits of the Dior’s white rose, the gentle-on-skin serum soothes, strengthens and evens out skin tone for a healthy, radiant complexion. It’s also worth noting that the rare Rose de Granville roses can only be harvested twice a year at the height of the bloom, making the product even more exclusive. For best results, use the serum after the brand’s Light-in-Lotion that gently sloughs off dead skin cells, and before its moisturising Light-in-White La Crème Lumiere and UV protection sunscreen. Priced at SGD570, each bottle comes in a 30 ml dripper format and is now available at all Dior Beauty counters.